A simple word ‘Day out’ when I heard, gave me exhilaration and happiness. Thoughts were racing in my mind about the venue, activities etc. 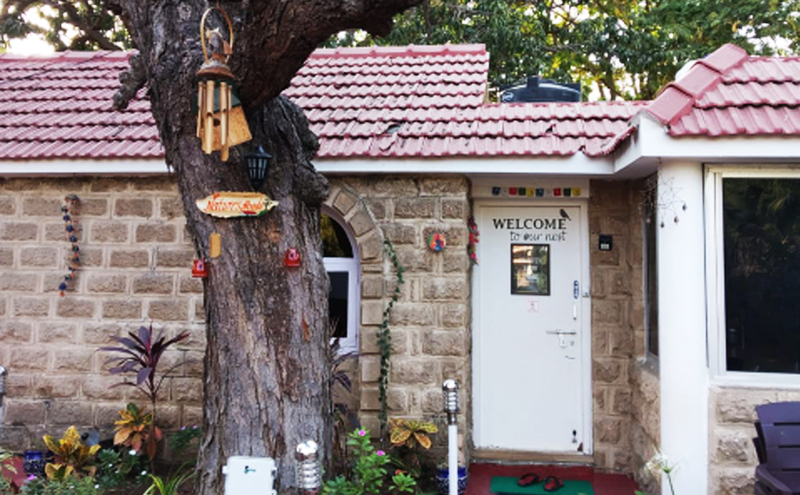 The idea to visit this place was to refresh, relax, and to switch off ourselves from a busy schedule. 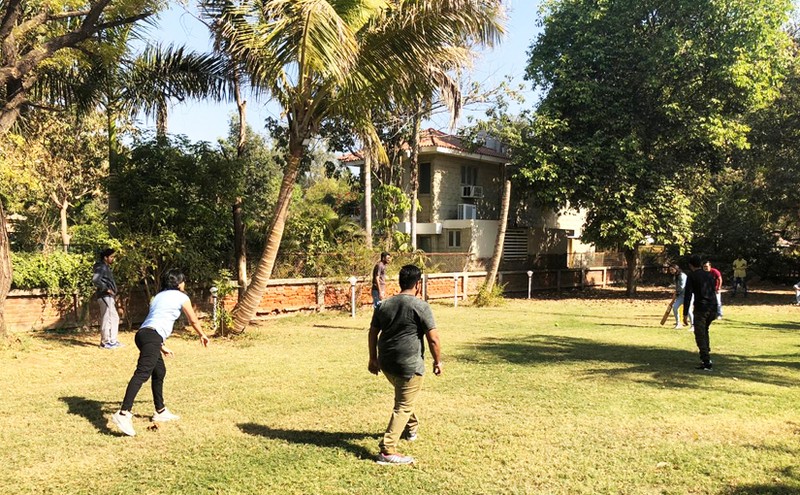 Everyone was eagerly waiting for this day to come as we all were gear up to end our year 2018 with a lot of fun. A fresh morning of ‘29th December’ we all gathered at a decided spot and began our journey to Nature’s Abode Homestay, with a purpose to experience and explore new things which we don’t get to do in our daily routine. The details related to location and activities were surprised for us which turned into a small treasure hunt activity to reach at the location, as we were visiting this place for the first time and it was not available on google maps. Finally, we reached the venue and were ecstatic to see the surroundings so beautiful with a delightful atmosphere. Everyone seemed to feel energetic & rebellious. Activities were organized in the structured play by our host #wandergupt but we were asked if we wanted to do something on our own. So we decided to play cricket. Two teams were made, coins were flipped and the game of cricket begins. In the end, a friendly atmosphere was developed amongst each other. After a good play of cricket, we had breakfast to regain the energy for the remaining activities. 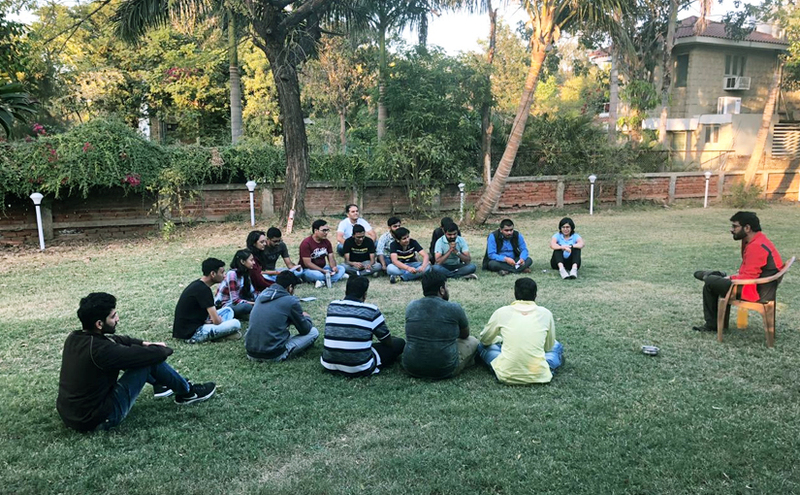 All the members gathered for some unusual activities as organized by #wandergupt. The host made sure to keep us on our toes with brilliantly planned activities. 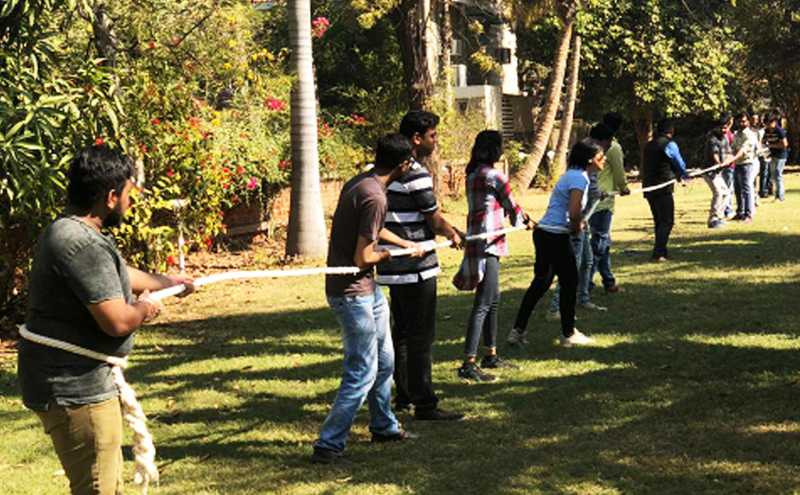 We had some activities related to fun, brainstorming, nonverbal communication etc. which made us realize how effective the work can be done in different constraints. These activities brought all of us together and made us understand each other better. 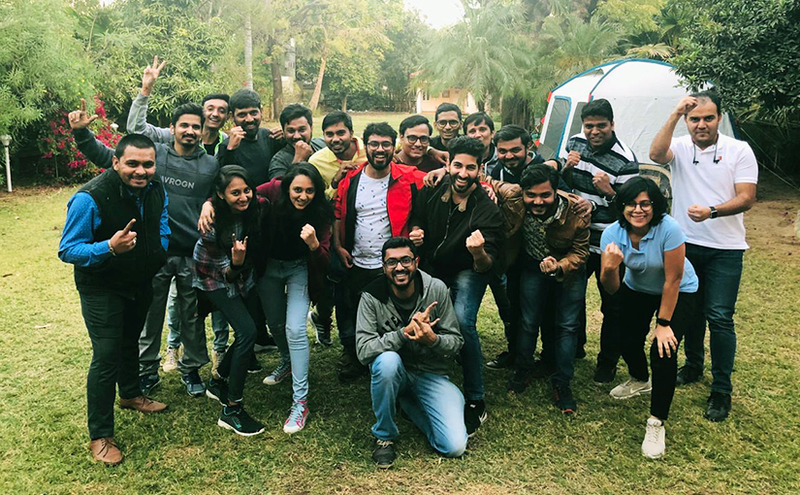 As a team member working in a company, we always know one side but such activities are important for team bonding and communication. After lunch, some played badminton, throw and catch the ball and had a group discussion about upcoming activity. The next activity in which we divided ourselves into 3 teams and to create a play on any of three different types “Mime, Street play and Musical”. We took 20 minutes to come up with a plot for the play and enacted the entire play. Everyone got so involved in the act they made props with available surroundings. All three teams, though little nervous, were ready to enact. This task explored a complete non-techie side of all the team members. One team took a standing ovation by ending the play with our national anthem. All these activities were followed with all the positive messages for the coming year and also an introspection for us to be build gratitude towards the good things happened in 2018. The sun was setting, birds were chirping and soft musical notes were being played on the guitar was a perfect way to end our day out. It was a day full of smiles, happiness and a memory to cherish forever. A DAY TO REMEMBER WITH LOTS OF MEMORIES AND LEARNINGS.